air420® – EMBES Technology (Thailand) Co.,Ltd. 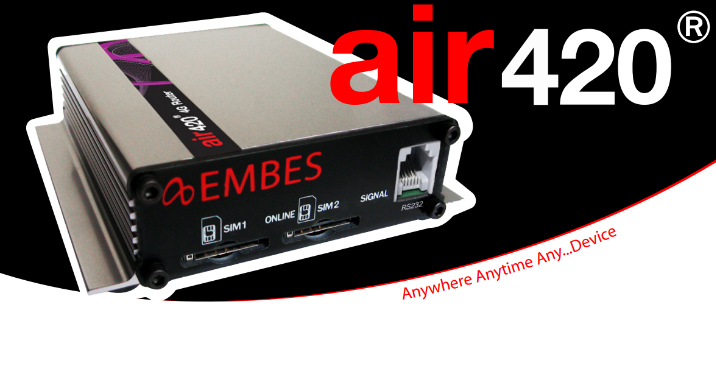 The air420® is a cost optimized model of industrial grade 4G LTE Wireless WAN cellular routers, gateways and VPN appliances that provide secure high-speed wireless communication to any devices and remote sites. 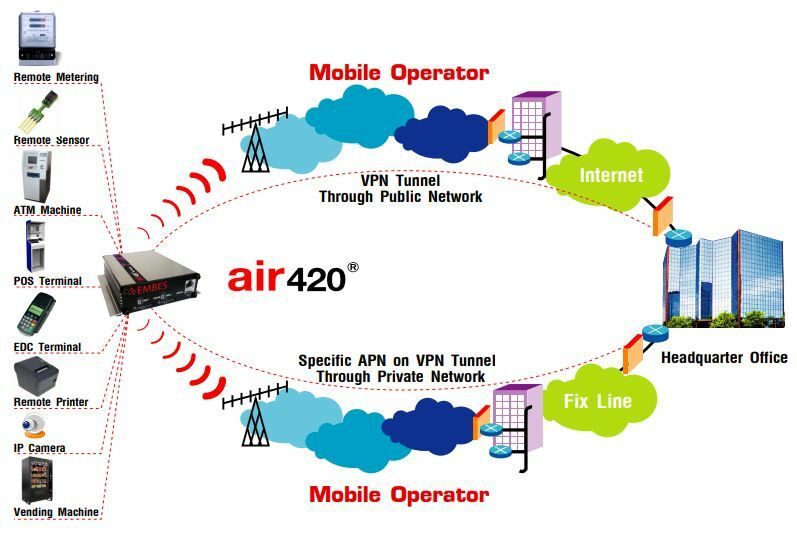 air420® can be used for reliable primary wireless WAN network communication to equipment at remote sites, as well as a backup for existing landline communications. They are also ideally to be used where wired networks (e.g. leased line, MPLS, ADSL) are not available, or where alternative network communications are required. The hardware based has designed on embedded system rules that use low power consumption and industrial design so that can be used in the extreme environment including the software design that concerns data security certified by nationwide standard while still maintaining its flexibility during performance. Therefore, you can benefit from air420® to use with the wide range of applications that use Ethernet Protocol and also Serial Protocol in a form of Serial Server. Some of the examples are Video Surveillance, Video Conference, Digital Signage, ATM Machine, Vending Machine, EDC Terminal, Data Logger, Data Transferring between Headquarter and Branch, Retail/POS sites, remote printer, new construction locations, temporary office, industrial automation, traffic management, medical, vending machine and much more. As for Port Interface, air420® strength is the provision of 1 WAN and 1 LAN port which enable to divide Segment for increase the level of security of your data. In addition, you can benefit from WAN Port by connecting with Wire line Network such as MPLS or ADSL. This can be easily accommodated because air420® will choose which network suits your network the best. Dimension (WxDxH) 105x100x28 mm. Weight 300 g.